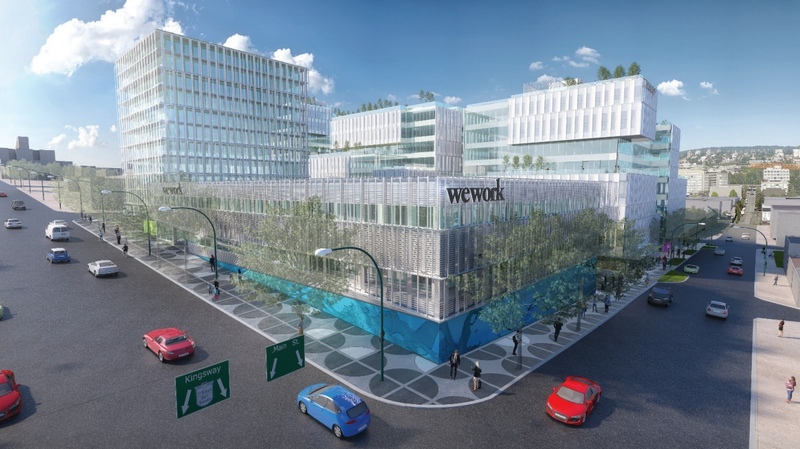 WeWork’s first co-working office location in Metro Vancouver outside of the borders of the city of Vancouver will be in Burnaby’s Metrotown district. 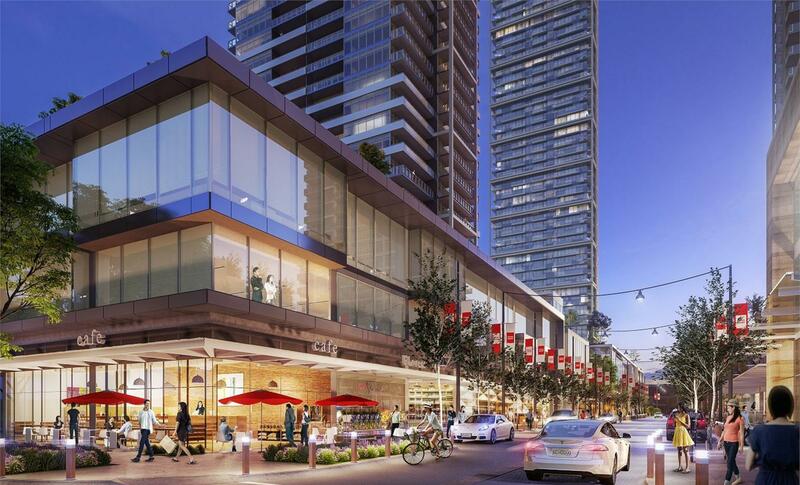 The co-working giant says it will be opening a new location at Anthem Properties and Beedie Living’s Station Square redevelopment at 6060 Silver Avenue — immediately west of Metropolis at Metrotown shopping mall and SkyTrain’s Metrotown Station. The new Station Square location, opening in September 2019, will occupy two floors and entail 1,200 desks. “We’re not just creating a place of convenience by opening in Burnaby. This is a fast-growing city we will continue to grow in,” said Gina Phillips, the Northwest vice-president and general manager of WeWork. Since entering the region’s market in the fall of 2017 with its first location at Three Bentall Centre in downtown Vancouver, WeWork’s presence in Vancouver has grown rapidly and exponentially. The company has a second location in another tower within Bentall Centre, a nearby location at Grant Thornton Place at 333 Seymour Street (across from Waterfront Station), and a 1000-desk location within the Marine Gateway office tower in South Vancouver. Later this spring, there will also be an 800-desk location opening at Westbank’s new Main Alley tech campus at 2015 Main Street in Mount Pleasant. Throughout 2018, WeWork grew by over 180% in Vancouver, with 2,600 desks added — increasing the total number of desks in the region to 4,040 desks as of the start of this year. By the end of 2019, the company will grow to seven locations and see its number of desks increase year-over-year by 100%. 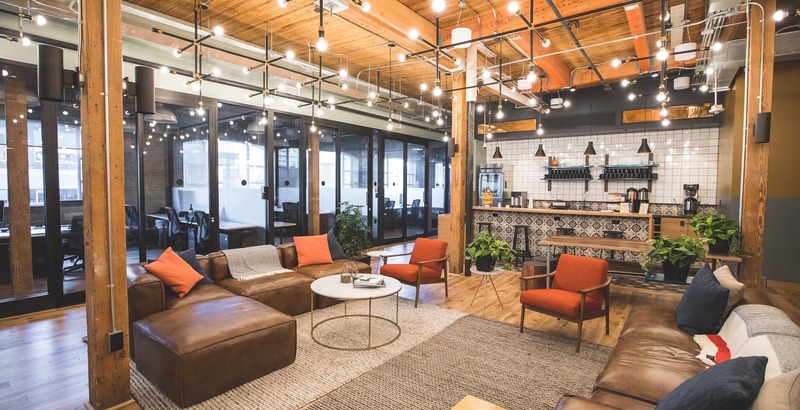 WeWork projects it will have 18,000 members within the Pacific Northwest by the start of April 2019, with 3,500 members in Vancouver, 12,249 members in Seattle-Bellevue, and 2,197 members in Portland. Globally, the company now has 425 locations in 100 cities within 27 countries. In March 2019 alone, it opened 19 new locations and expanded 19 existing locations, totalling an expansion of 18,200 desks and 968,000 sq. ft. of floor area. “Now, in 2019, we’re growing even more, but in a way that’s as much about impact as it is about desks. In this next year, WeWork will build a constellation of opportunity through new spaces spread across Metro Vancouver, and opening in Burnaby is key to that effort, as we also stand up locations in Mt. Pleasant and South Vancouver,” added Phillips. According to WeWork, its co-working offices bring immense benefits to neighbourhoods, as its data shows 70% to 80% of its members did not work in the area prior to joining WeWork. As a result, the company’s activities and physical presence create an economic boost to local restaurants and shops. WeWork also says its workspaces are 250% more efficient than a typical office, which effectively frees up floor area for other uses such as new businesses and jobs. WeWork will be one of the new Station Square’s largest commercial tenants. 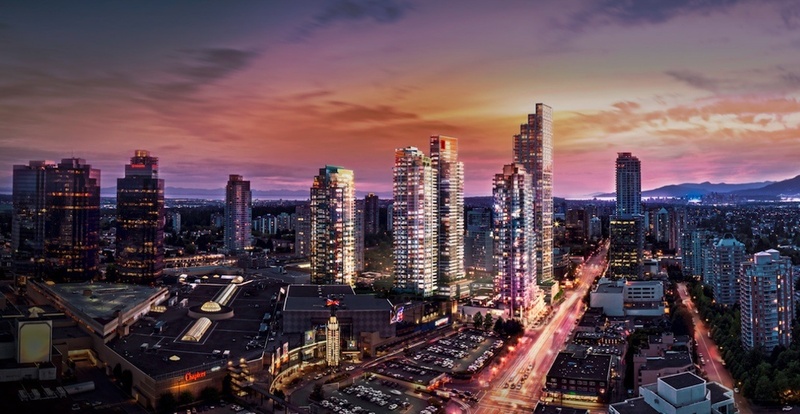 The mixed-use redevelopment — one of the largest projects in the Metrotown area to date — entails five residential towers reaching up to 37 storeys in height with 1,800 homes and over 450,000 sq. ft. of new retail and office space. Phase One is fully complete, Phase Two is nearing completion, and the final two phases are currently well under construction, with the final phase set for completion in late 2021. PriceSmart, replacing the former Save-On-Foods in the original Station Square, is the redevelopment’s largest retail anchor. 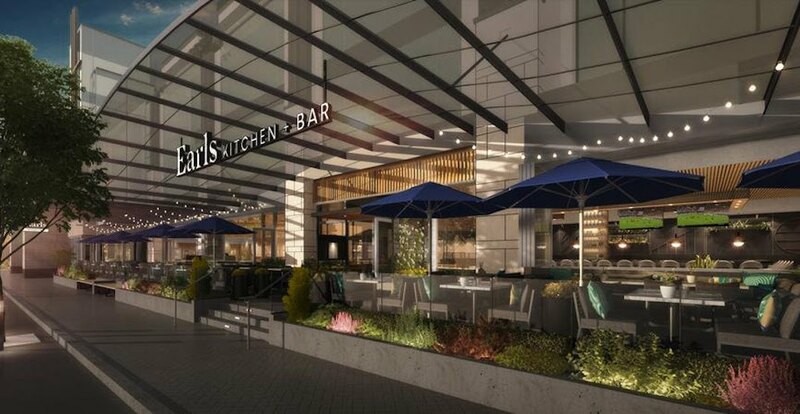 An area dubbed ‘Restaurant Row’ will be home to eateries such as Cactus Club Cafe and Earls Restaurant, with the latter set to open in mid-April 2019.